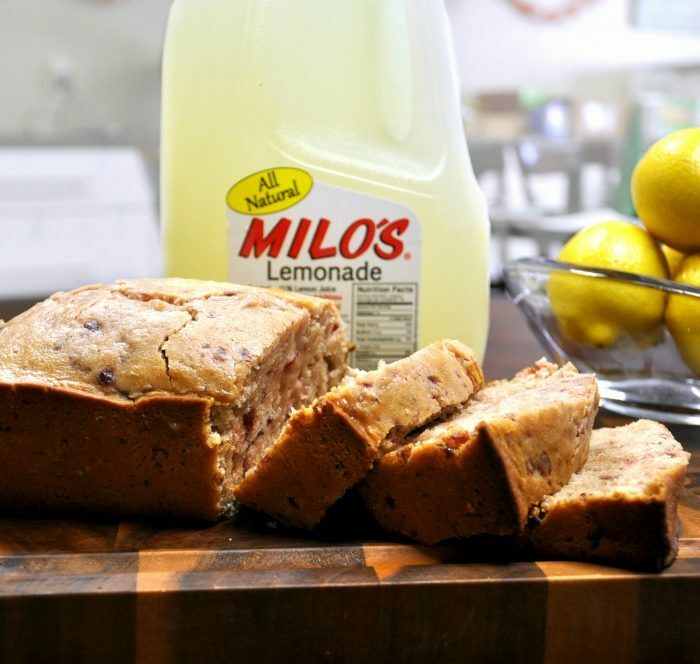 Milo's Lemonade Cranberry Orange Bread - Milo's Tea Company, Inc. In large bowl mash cranberry sauce into small pieces. 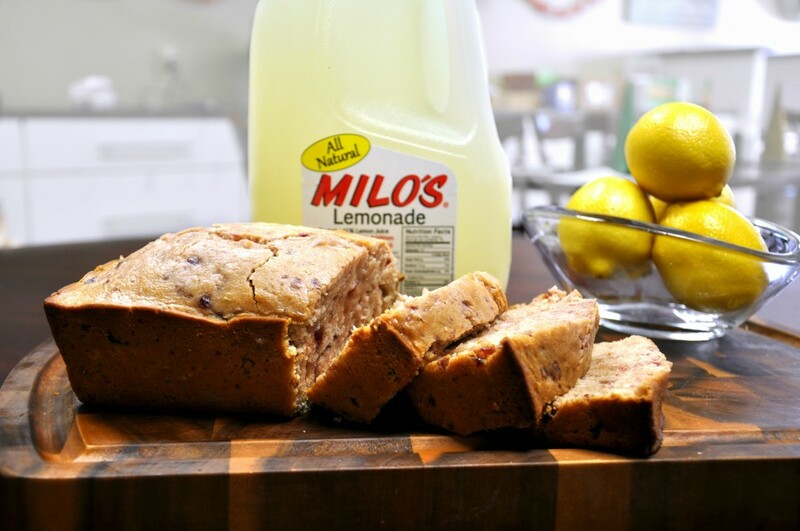 Add Milo’s All Natural Lemonade, orange zest, vegetable oil, and egg and mix until blended. In a separate bowl, combine flour, sugar, baking powder, salt and baking soda. Combine wet and dry ingredients and mix until a batter is formed. Bake for 60 minutes. Let cool for 20 minutes.